NOTICE: Codonics has identified an issue with SATA Power Cables in its Virtua and Virtua XR product line. Specifically, only recorders manufactured or repaired prior to October 25, 2016 that have a serial number prefix of "83C" are affected. This is a voluntary action of caution and is not the subject of an MDR or recall. If you have one of these units and have not been notified by your local distributor or reseller, please contact Codonics Support for further instructions. NOTE: The current released software version represents the most stable, effective and safe version of the operating software for the Virtua Medical Disc Publisher. Codonics recommends and encourages updating to this version. To receive a copy, please contact Codonics Technical Support at +1.440.243.1198 or complete the Virtua Medical Disc Publisher Operating System Software Request form below. Serial number labels are located behind the right hand disc holder on the Recorder and behind the output bin on the Controller. The serial number label includes the following information. 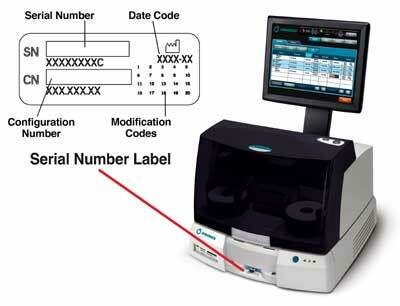 The serial number (SN), which uniquely identifies the unit. The configuration number (CN), which details the build configuration. The modification codes, which are to the right of the CN number and are a series of 20 numbers. When any of these numbesr are blocked out, that identifies a modification that was made to the unit. The date code in YYYY-MM format below the factory date code symbol. The SmartDrive is a USB flash drive on which is stored critical system information, including configuration data. CAUTION: The SmartDrive must be inserted for the device to operate. If the SmartDrive is not inserted, the device can boot up but will not be able to process jobs. A message at the Display will prompt you to insert the SmartDrive. The SmartDrive also allows you to move a device's configuration to another device. This feature is especially helpful when swapping devices for service purposes. 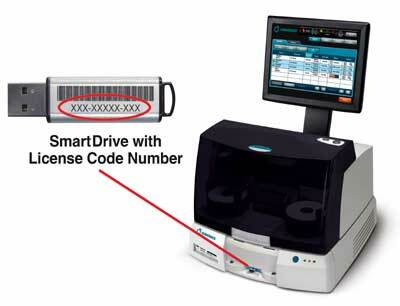 Note that a SmartDrive cannot be duplicated. That is, it cannot be used in two devices at the same time. Software license code. This is the serial number for the Virtua software. All keyed features are keyed off the License Code. This code is also printed on the SmartDrive's label. Device configuration. This includes all of the profile files. It also includes other system profiles and DICOM viewers (except for Virtua-A, Virtua XR-A, Virtua E-A or Virtua C-A). Disc log files. The system logs all recorded discs in these files. A disc log file is a comma-seperated text file that can be imported into a spreadsheet. The file is useful for compliance with HIPAA and other regulations.